Rev. 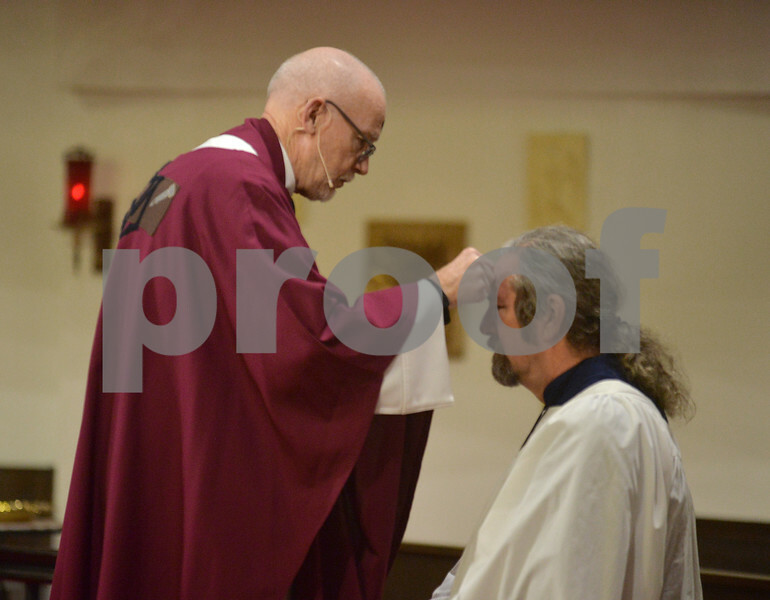 Bob Trask applies ashes to the forehead of choir member Rich Johns of DeKalb during Ash Wednesday service at St. Paul Episcopal Church on Wednesday, Mar. 1, 2017 in DeKalb. The day marks the start of Lent for Christians, a time of reflection leading to Easter Sunday.